The HOCKEY SERIES Stripes are awesome and are in stock! If you have been searching for the best 2011 2012 2013 2014 Dodge Charger Hockey Stripes, then you came to the right place, because Fast Car Decals have the best deal around for 2014 Dodge Charger Hockey Decals. 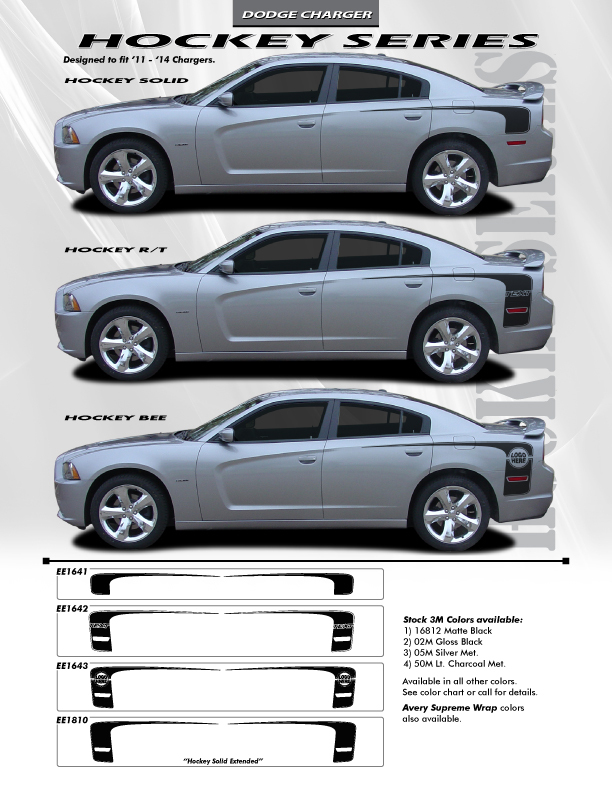 Upgrade to Dodge Charger Hockey Stick Graphics from FCD.